Eligibility for appearing in CAT for MBA? I am a student of VP college of management and research pursing BCA and im currently in my second year i needed to know if i am elligible to give CAT exams and get admission into IIM (any institution a,b,c,etc) after the completion of my course. Eligibility for appearing in NET after MBA? Re: Eligibility for appearing in CAT for MBA? yes you are eligible. a person who is a graduate in any discipline or is in the final year of graduation can apply and appear for CAT. you shall need to prepare well for CAT which is a highly competitive examination and tests a student's verbal ability as well as quantitative aptitude. there are other entrance exams for entrance into MBA colleges as well such as SNAP, XAT, MAT, CMAT, NMAT. also keep in mind that you shall need to apply separately for various colleges. Prepare well and try to score as high as possible so that you are able to get into a good college. BCA candidate is eligible to apply in CAT exam conducted for admission in MBA colleges provided he/she has done his BCA from recognized university/institute. CAT is Common Admission Test which is conducted by Indian Institute of Management for admission in MBA program. This entrance examination is applicable in IIMs and Many other management colleges in INDIA. • Bachelor’s degree from recognized University or any other equivalent qualification. • 50% marks in Graduation. 5% Relaxation in Marks to SC/ST Candidates. Second Section -Verbal Ability & Logical Reasoning. You are not eligible to sit in CAT exam currently because you are in second year now. Candidate who had completed his/her graduation from recognized university with minimum 60% marks in graduation can be eligible to sit in CAT for taking admission in IIM. You are not in 3 year or have not completed your graduation so you can't sit in CAT entrance exam. Go for any graduation course of your interest. So you should have atleast 50% marks in graduation. You can appear for CAT after your graduation and also in final year if you want to get into IIM without any work ex. As far as eligibility is concerned, you would be eligible if you get 50% in your graduation. You know that Post Graduate degree is more valuable and big than that of diploma degree. Then why do you want to do diploma. yes if you have no time and you want job earlier then you can do it. But if you have time of 2 years then you should do MBA degree. - The first thing is that you must have completed your graduation from recognized university. - You must have obtained at least 50% marks in your graduation. (minimum 45% marks is required for the Sc/St candidates). - Final year student can also apply for the entrance exam. 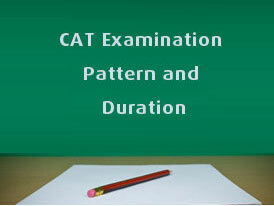 - There is no subject as well as the age barrier for applying to the exam..
CAT stands for Common Admission Test . This examination is Conducted by IIM's Every year for admission in IIM and top level MBA college . For SC/ST candidate the percentage is 45 % in graduation.There is no age limitation for the candidate.Final year student are applicable for This exam. If you are from graduation degree in final year then you are applicable for CAT Exam . You have completed BCA degree so you are applicable for CAT Exam. Selection Process for CAT exam are Written exam , Group Discussion , personal Interview. Yes, you can apply for the CAT after completing the B.C.A course. Indian institute of management (IIM) conducts the Common admission test (CAT) for pursuing the Master of business administration (MBA) course. You must have to possess the bachelor degree in any stream from a recognised university. You are required to have minimum 50% marks in bachelor degree and if you are from reserved category then 45% marks is the minimum requirement. It is a computer based test which is generally conducted at the end of year. Being in final year, you can apply for it. >> Candidates who have cleared the qualifying exam by means of any of these methods can apply for the CAT exam. >> Aspirants who have done their graduation from any university accepted by the Association of Indian Universities or the All India Council for Technical Education can apply for the CAT exam.